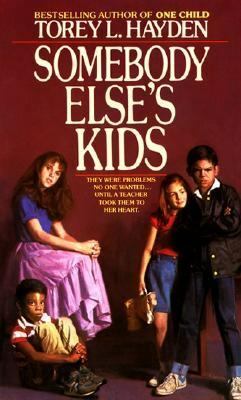 They were all "just somebody else's kids"-four problem children placed in Torey Hayden's class because nobody knew what else to do with them. They were a motley group of children in great pain: a small boy who echoed other people's words and repeated weather forecasts; a beautiful seven-year-old girl brain damaged by savage parental beatings; an angry and violent ten-year-old who had watched his stepmother murder his father; a shy twelve-year-old who had been cast out of Catholic school when she became pregnant. But they shared one thing in common: a remarkable teacher who would never stop caring-and who would share with them the love and understanding they had never known to help them become a family.Hayden, Torey L. is the author of 'Somebody Else's Kids', published 1982 under ISBN 9780380599493 and ISBN 038059949X.